As the ever-growing number of Americans living with food allergies now tops the 12 million mark, doctors, food manufactures, restaurants, grocers, and consumers are scrambling for solutions and alternatives to improve the lifestyle of food allergen sufferers. However for many, the task of researching, navigating and keeping up-to-date on emerging new information and available resources proves daunting. 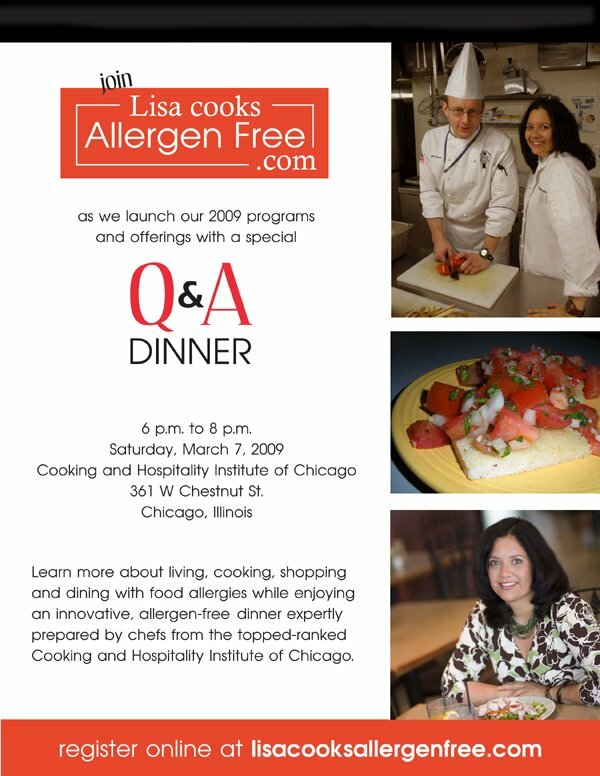 That’s why our client, Chicagoan Lisa Williams — a food allergen sufferer herself — has established Lisa Cooks Allergen Free, acting as a clearinghouse and information resource for cooking, dining, and shopping with food allergies. 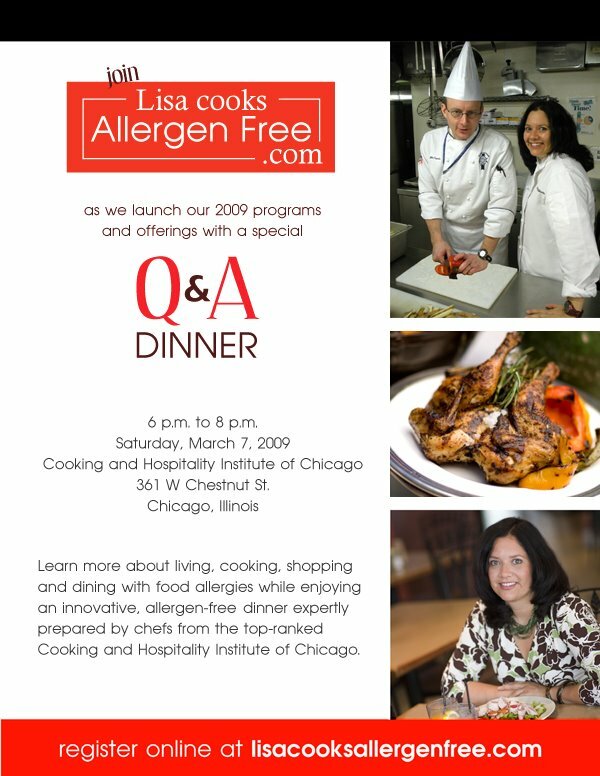 On Saturday, March 7, from 6 to 8 p.m. Lisa Cooks Allergen Free hosts the first of a series of events with a FOOD ALLERGEN Q & A DINNER at the Cooking and Hospitality Institute of Chicago (CHIC), 361 West Chestnut Street. 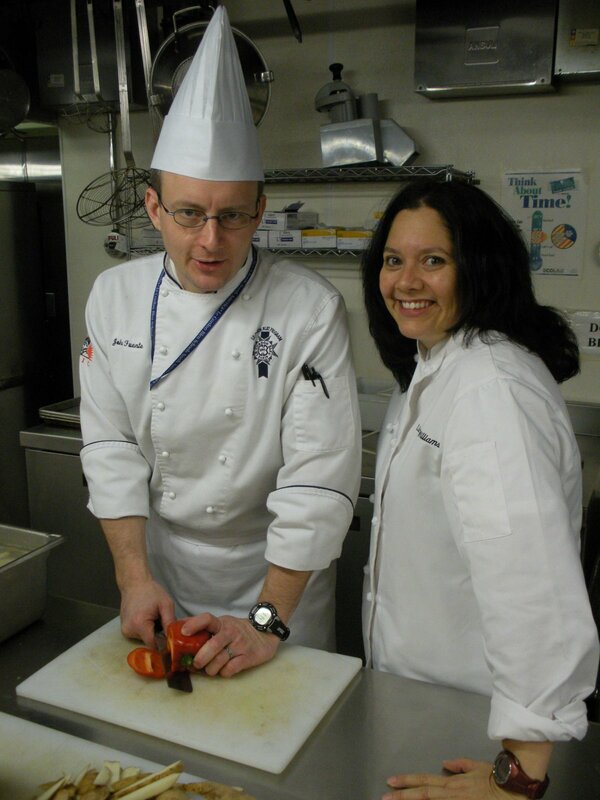 The evening includes a panel of speakers, a complete allergen-free dinner prepared by chefs of the top-ranked C.H.I.C. using Lisa Cooks Allergen Free recipes, along with a deluxe goodie bag filled with allergen-free products, recipes and tips. Tickets are $50 per person and advance reservations are required and can be made by visiting Lisa’s website.